GreenWorks, as part of a team, assisted the City of Sandy in the design of its new operations and maintenance facility which houses public works services and transit operations. 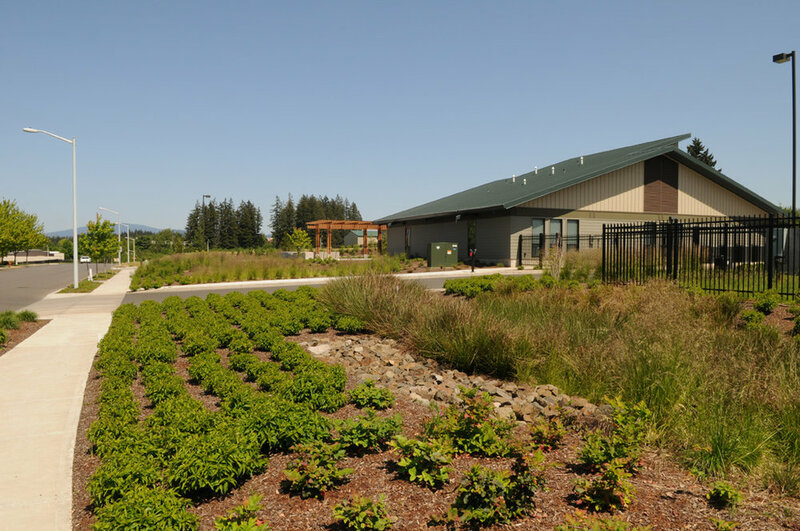 The facility embraces sustainable design strategies by using a native plant palette and minimizing stormwater run off with a series of vegetated swales. Individual downspout features artistically accentuate the sheet flow activated by roof run-off. Our involvement included preliminary and final design for site improvements, overall grading and sustainable stormwater design solutions, low-maintenance landscape improvements, native planting design schemes and site screening for buffering requirements and hardscape design for public access locations.